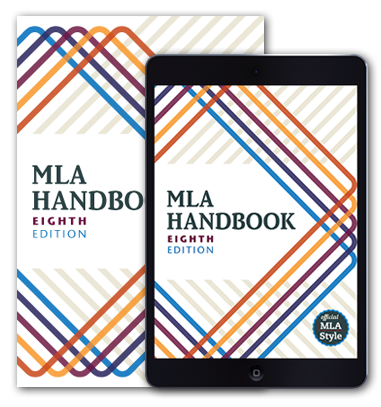 How does the MLA use emeritus and emerita? In its publications the MLA follows Merriam-Webster, allowing the inflected forms emeritus to refer to a man or woman, emerita to refer to a woman, and emeriti to refer to a plural group. When individuals state a preference for emeritus or emerita, however, we follow their preference. What is the MLA’s approach to the singular they? Each student is expected to choose the topic of their research paper before they take the midterm. How do you make a plural out of the word so? So many people were present, so he said so, so they were all so very pleased, but others felt that attendance was not so great, was, in a word, so-so. But “sos” is hard to read. It looks at first like a mistake. Using italics might help a bit but not much: sos. Another option would be to add an apostrophe: so’s. But MLA style uses apostrophes only to form plurals of letters: p’s and q’s. I’m not going to tell you to cut adverbs out of your prose entirely. Instead, I’m going to review a particular category of adverbs that you can easily avoid and thereby tighten your prose . . .
Reasons to be mindful of the ambiguity of the word contemporary . . . Deploy is not a good synonym for use, utilize, or employ, because it has a narrower sense and specific associations . . .
President’s Day: A Singular Holiday? Authorities disagree about the name Presidents’ Day . . .
Should you write, “Happy New Year,” “Happy new year,” or “Happy New Year’s”? . . .
On the use of include to mean are . . .
Keep an eye out for overhedging. Some writers are timid—or pretend to be—about making a statement, so they hedge: “I believe,” “it seems to me,” “may be,” “suggests that,” et cetera. The problem is that, having hedged, they often worry that they still have been too positive, so they hedge again, often in the same sentence or phrase. The result is redundancy or, worse, a mannerism that becomes conspicuous. It is obvious that the author would like to.